Steve Smith and David Warner are set to return to global cricket as both are named in 15-man World Cup squad of Australia on Monday. But he'll now be left to spend the first half of the winter for Australia A - also in England - to prepare for the subsequent Ashes. A statement released by the Australia chairman of selectors, Trevor Hohns, said that while Hazlewood would miss out on the World Cup he would be a key member in the Ashes, which starts two weeks after the conclusion of the mega-event. "As far as I'm concerned they have done everything that's been asked of them in the last 12 months", said one-day skipper Aaron Finch, adding that he didn't believe their return would be destabilising. 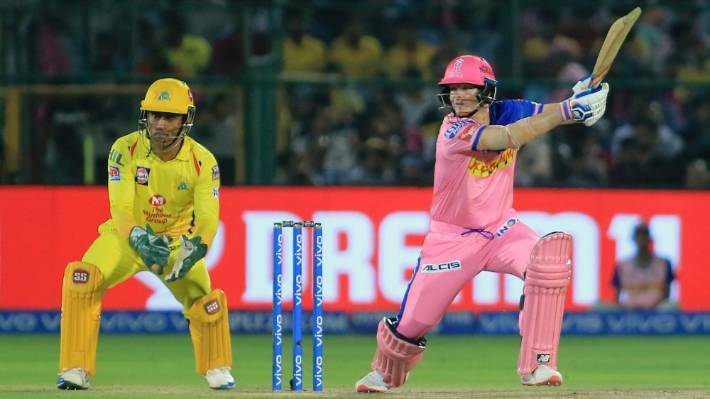 Smith and Warner are now playing for Rajasthan Royals and Sunrisers Hyderabad respectively in the IPL after serving their 12-month ban for their role in the ball-tampering scandal that rocked Australian cricket a year ago. He also brought a second-string with his wicketkeeping which could have provided back-up for Alex Carey, but in the end the selectors couldn't squeeze him in with Smith penciled in to be the middle-order accumulator, likely to bat at No. 4 behind Warner, Aaron Finch and Usman Khawaja in a yet-to-be-decided order. And the day became even more memorable for Smith and Warner as Cricket Australia included them in their list of contracted players for 2019-20 season. "The fifteen-player squad for the ICC world cup will assemble in Brisbane for a training camp at the National Cricket Centre on May 2", Cricket Australia said. 'Having not played at the highest level for some time, we feel this will provide him with the best preparation to get some quality cricket under his belt. Australia, nonetheless, have named Pat Cummins, Mitchell Starc, Jhye Richardson, Jason Behrendorff and Nathan Coulter-Nile as the frontline pacers in the team. Another big name to miss out is fast bowler Josh Hazlewood.